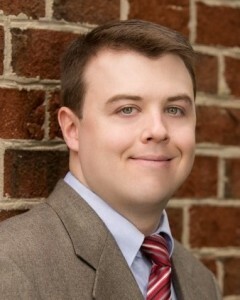 Chuck is a CERTIFIED FINANCIAL PLANNER™ and a Certified Divorce Financial Analyst®, as well as the founder of Sycamore Financial Planning, LLC, a Fee-Only financial planning firm headquartered in Durham, NC. Chuck has been a part of the financial services industry since 2008, when he joined a local investment advisory firm in the roles of financial analyst, research analyst, and Chief Compliance Officer. Prior to this, Chuck worked for IBM for 10 years as a software engineer, project manager, and financial operations manager. Chuck enjoys engaging with his local community through involvement with civic commissions, community non-profits, and mission work through his church. He is deeply committed to social and economic justice issues, with particular emphasis on alleviating poverty, hunger, and food injustices. You can learn more about Chuck in this interview that discuss why he became a financial planner and his thoughts about fiduciary advice. Contact Chuck for a complimentary, no obligation initial consultation. 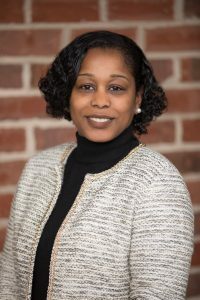 Deandrea (Dee Dee) joined Sycamore Financial Planning in October 2017 as a Client Services Specialist. Prior to joining Sycamore, Dee Dee worked in various positions with other firms focusing on creating great customer experiences while also facilitating the smooth operation of those firms. These roles have included: a staff specialist for Duke University’s Alumni Affairs, a program assistant at A Helping Hand — a Durham nonprofit specializing in elder care, and a registrar and guidance counselor secretary with the Durham Public Schools. In Dee Dee’s spare time she enjoys decorating and organizing events. She also enjoys cooking, spending time with family, and volunteering with her church and other nonprofits. Josh joined Sycamore Financial Planning in September 2015 as an Assistant Financial Planner. Josh has been a part of the financial services industry since 2013 when he joined Fidelity Investments as a customer service representative with the Workplace Investment team. While at Fidelity, Josh expanded his role on the Workplace Investment team by providing investment and retirement guidance to Fidelity 401(k) participants. Prior to working at Fidelity, Josh worked as an operations analyst for Credit Suisse for 6 years. In his free time, Josh enjoys spending time with friends and family while staying active by playing basketball and hiking with his dog Gabriel. He also enjoys volunteering for causes such as Habitat for Humanity and the Food Bank of Central & Eastern NC. 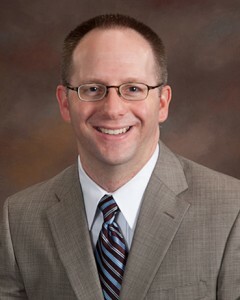 Travis, a CERTIFIED FINANCIAL PLANNER™, joined Sycamore Financial Planning in July 2018 as an Assistant Financial Planner. Travis has been a part of the financial services industry since 2013. Prior to joining Sycamore, Travis worked in various positions with other firms focused on operations, client experience, and insurance analysis. These roles have included work as: a financial representative for Guardian Life Insurance Company, a client affairs representative for Champion Sports & Entertainment, and a client services representative for Raleigh Capital Management. In Travis’ free time, he enjoys spending time with his wife, Shelby, and their two dogs, Savannah and Bailey. Travis is a big basketball fan, playing recreationally and in college. He continues to play basketball and stays active by running and hiking with his family. He also enjoys working with kids to develop their basketball skills, in hopes that they might achieve their dreams of playing college basketball too.